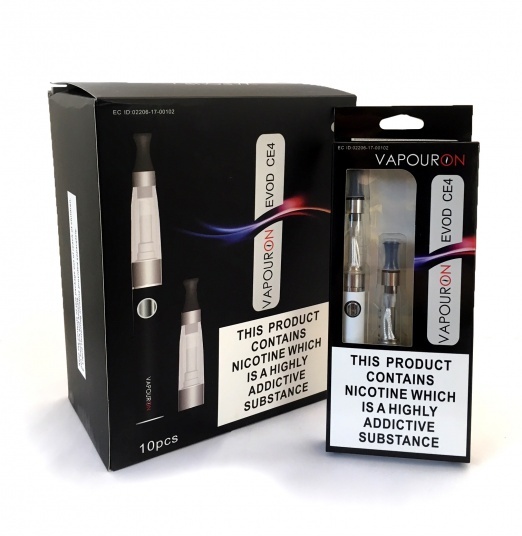 Pen E-Cigarette Vapouron Evod CE4 Vape Kit + Extra Atomizer - Assorted Colours TPD Compliant. 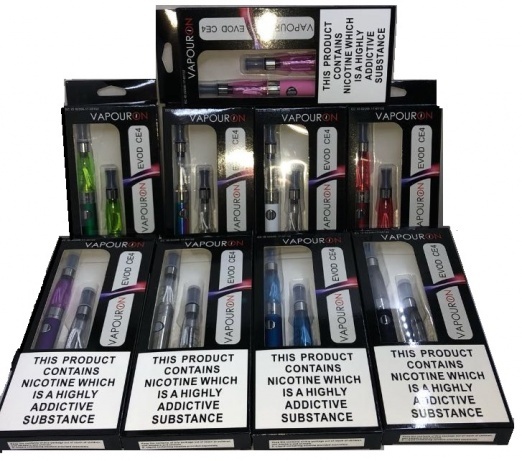 Assorted Colours Colours will vary from pack to pack This product contains nicotine which is a highly addictive substance. Assorted colours: Blue, Black, Silver, green, purple, pink, red, white. Colours may vary.